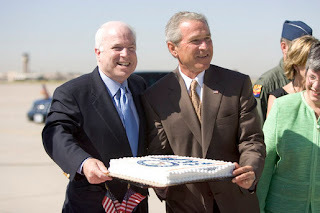 Group News Blog: John McCain; Lazier than Bush? Or Just Old? John McCain; Lazier than Bush? Or Just Old? Clearly he has just been too busy eating cake and having picnics with the press. No worries I am sure he will work much harder if he makes it to the White House.